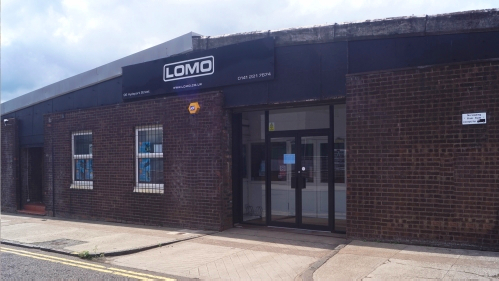 Lomo's Glasgow wetsuit outlet. 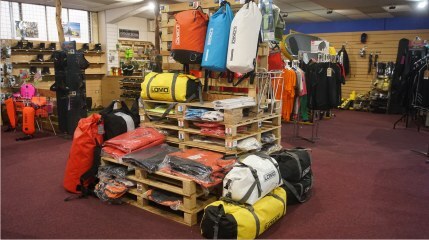 Shop for kayak drysuits, sailing dry bags, spraydecks, keela gear, sit on top kayaks and watersports gear. 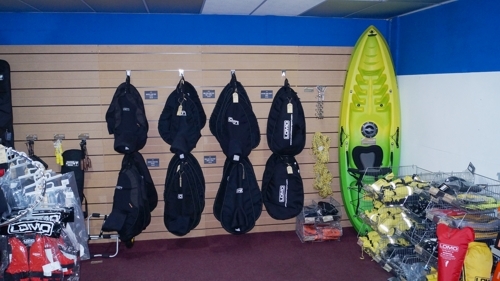 Visit our Glasgow wetsuits and watersports outlet. We are open from 10am-6pm Mon-Fri and 10am-5pm on Saturday. 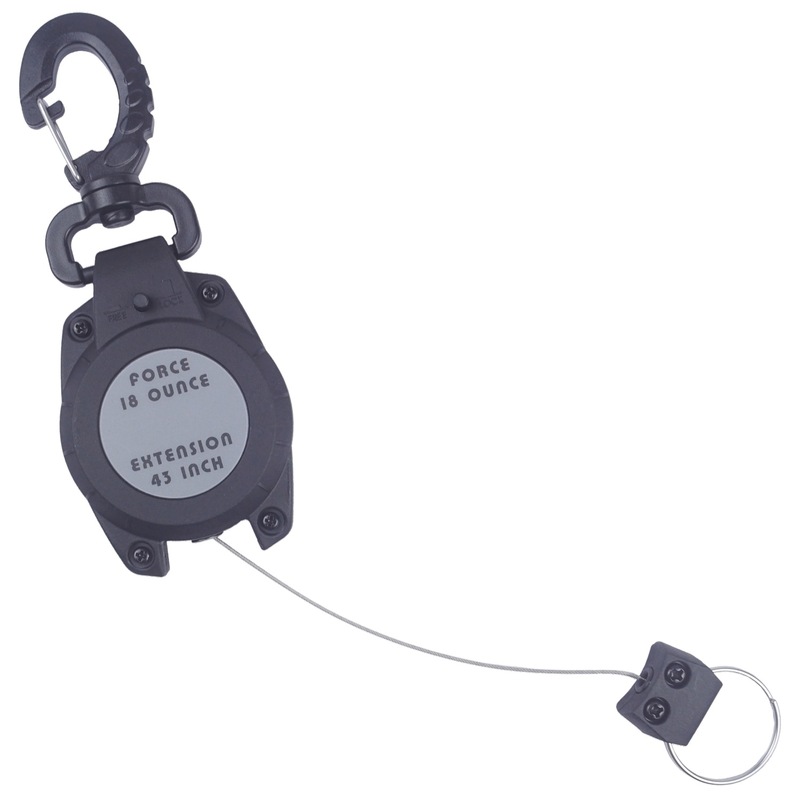 For kayaking and sailing we have plenty of accessories such as kayak trolleys, bilge pumps, boat hooks, marine ropes, chandlery and throwlines. 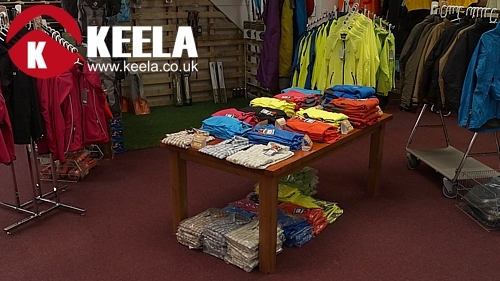 We have changing rooms so you can try all our gear on for size. For diving we have a good range of accessories such as clips belts and lanyards in addition to main equipment items like fins, masks etc. 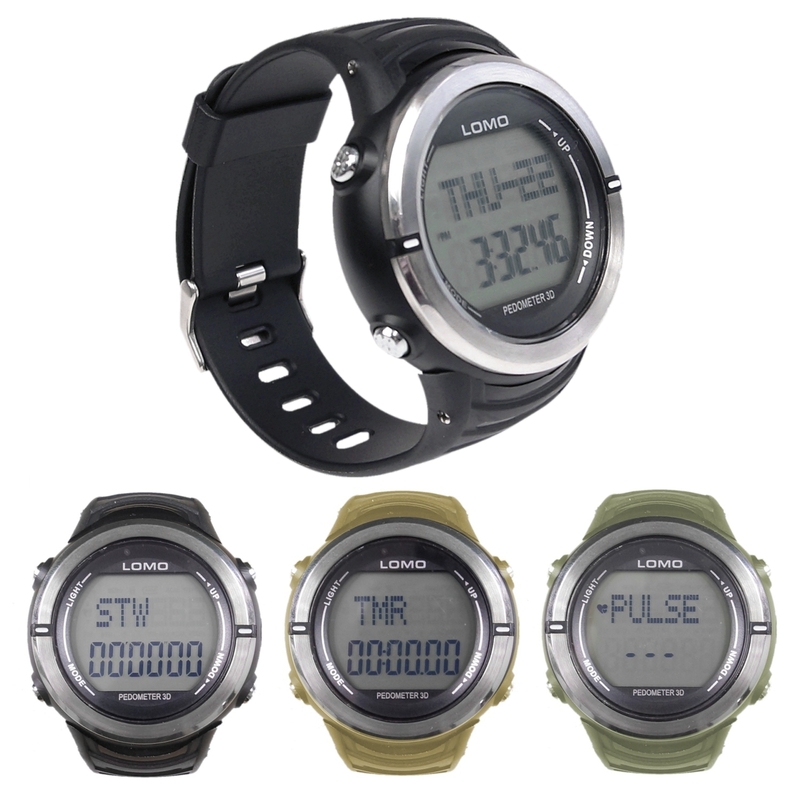 For triathlon we have a range of wetsuits , swimmign caps, gloves, compression calf guards and other related gear. 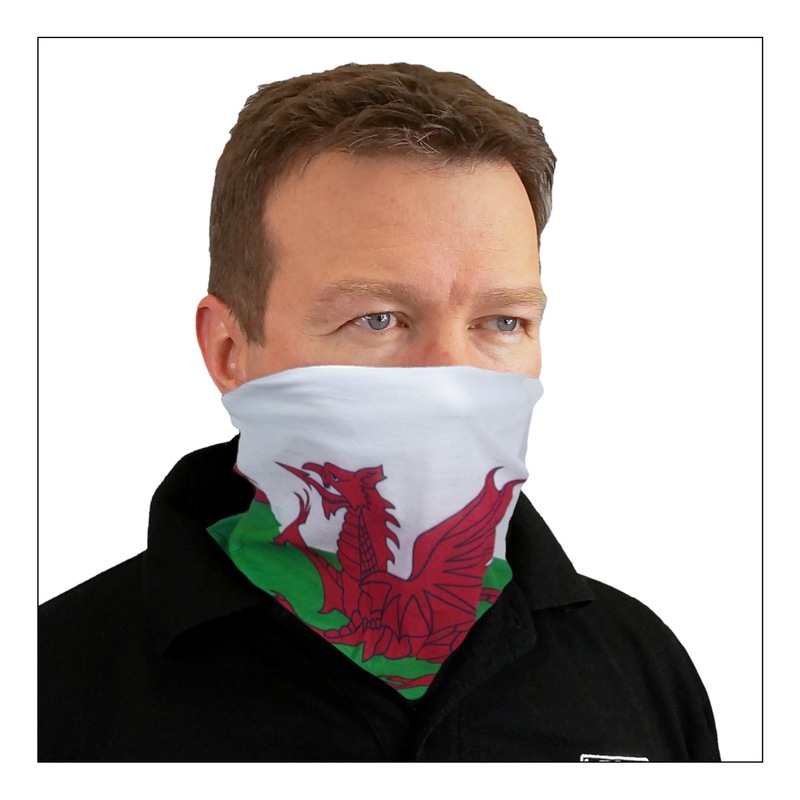 We also have a great range of motorcycle dry bags and items like neck scarves that are handy for this and other sports. Click here to see a Google Map of where we are. Or view our video for futher information on how to get here. Come and visit our store in Hydepark Street, Glasgow. We have onsite parking and a bike rack in the store entrance. We have a wide range of wetsuits in stock. 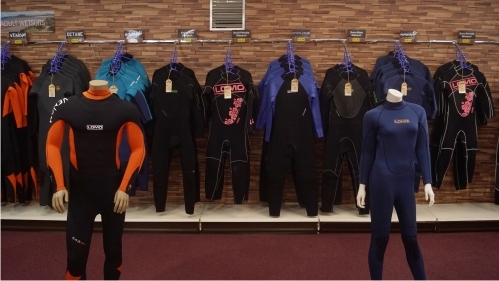 Instore we have our full range of wetsuits, drysuits, dry bags, footwear, gloves, headgear, sit on top kayaks, life jackets and almost everything that you can buy through our website. 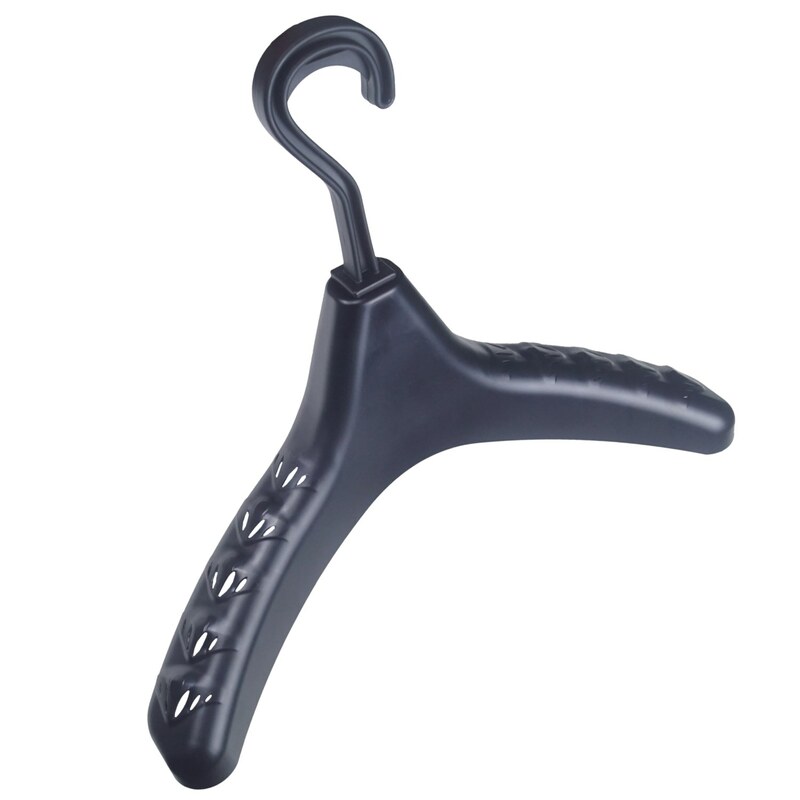 We have full changing facilties and a large selection of stock. We have triathlon wetsuits, kids wetsuits, shorty wetsuits and more along with a range of gear for kayaking, sailing, diving and most other watersports. 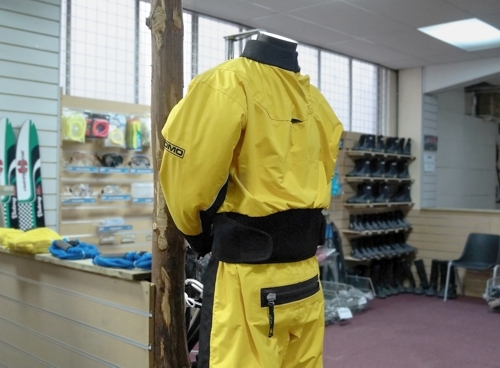 We have our Tornado and Renegade drysuits here in our Glasgow store for you to view and try on. The Renegade drysuit is a kayakers favourite while the Tornado is used by sailors, open canoeists and also by many emergency service units such as the fire brigade and mountain rescue teams. Our shop offers waranty support and a repair and servicing service should you need any work done to our suit during its life. We are one of the few places in Glasgow where you can buy sit on top kayaks. 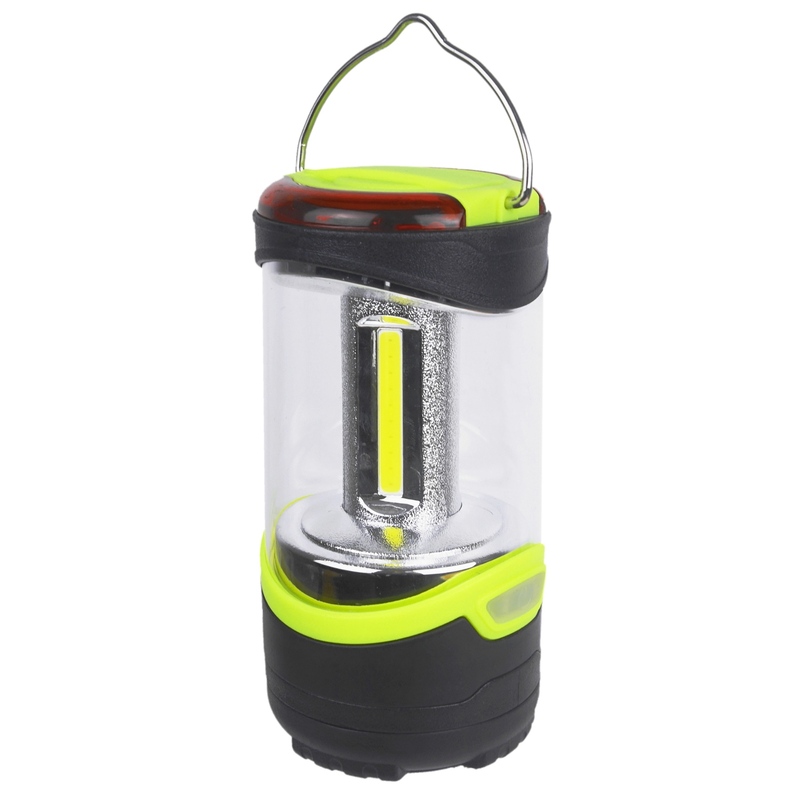 We normally have them in stock at hard to beat prices so come along to our shop and see what we have. 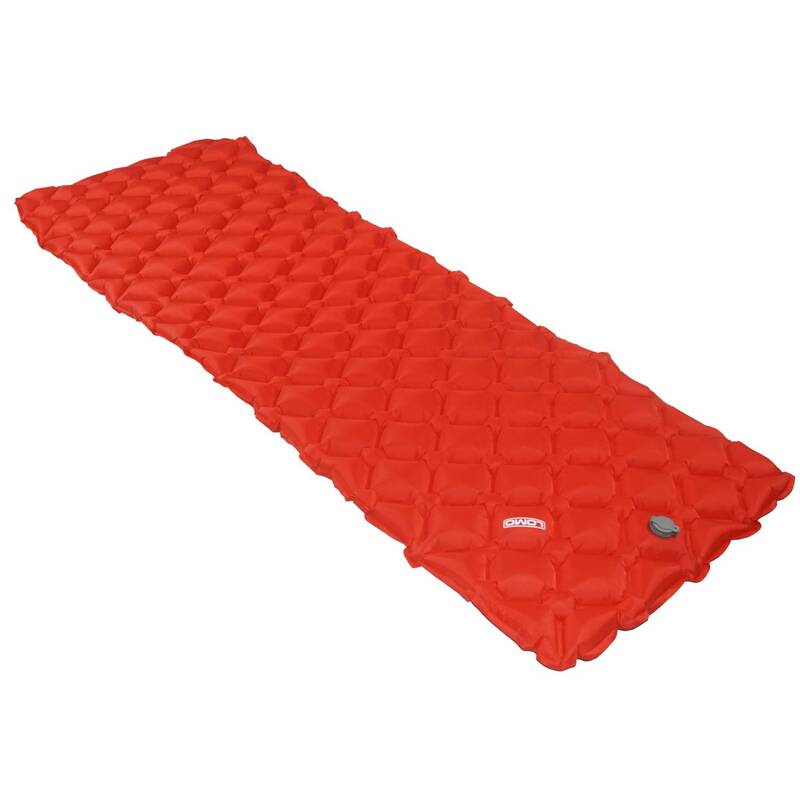 Buying sit on top kayaks online can be expensive because of the shipping expense so why not save the postage and come along to our Glasgow shop. Our Omega kayak is one of the most affordable models in the UK. 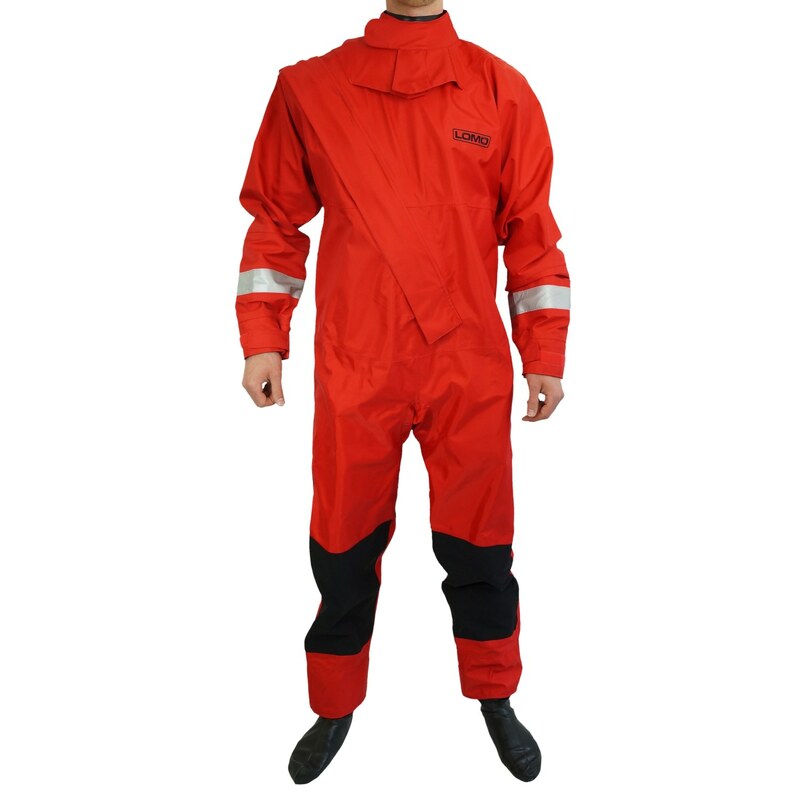 We have extensive repair facilities onsite and can repair most makes of surface drysuits and wetsuits. 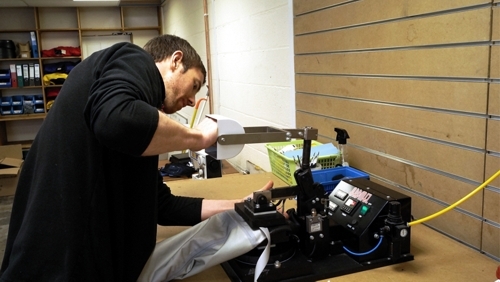 We can do drysuit seal replacement, pressure testing, zip replacement and also now offer triathlon wetsuit repairs. ... in Glasgow with a model for most requirements. 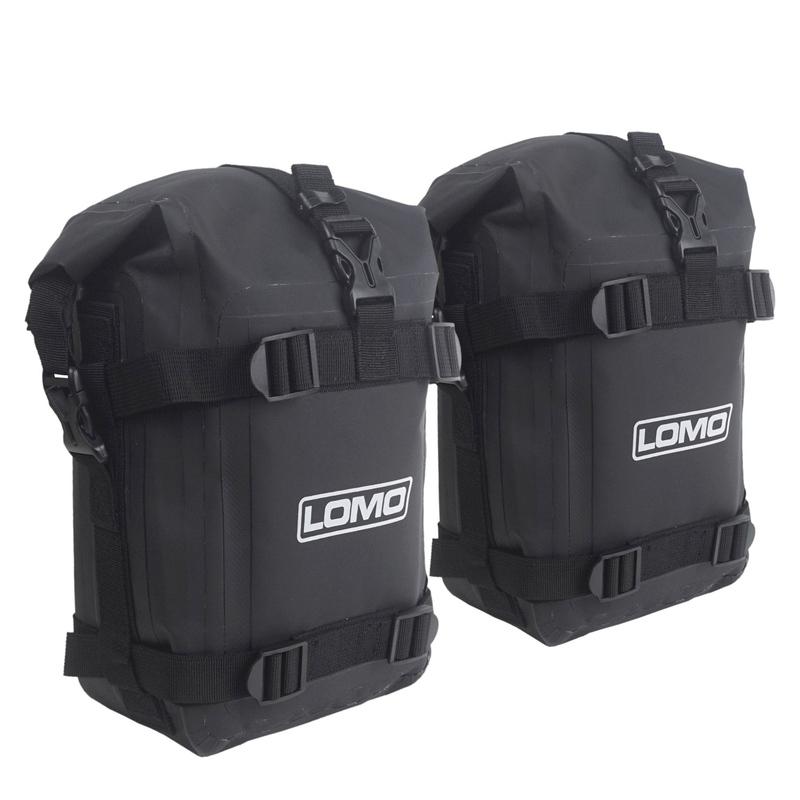 From small 1 Litre waterproof bags right up to out 150L monster bag our range includes roll top bags, rucksack bags and hold all dry bags. 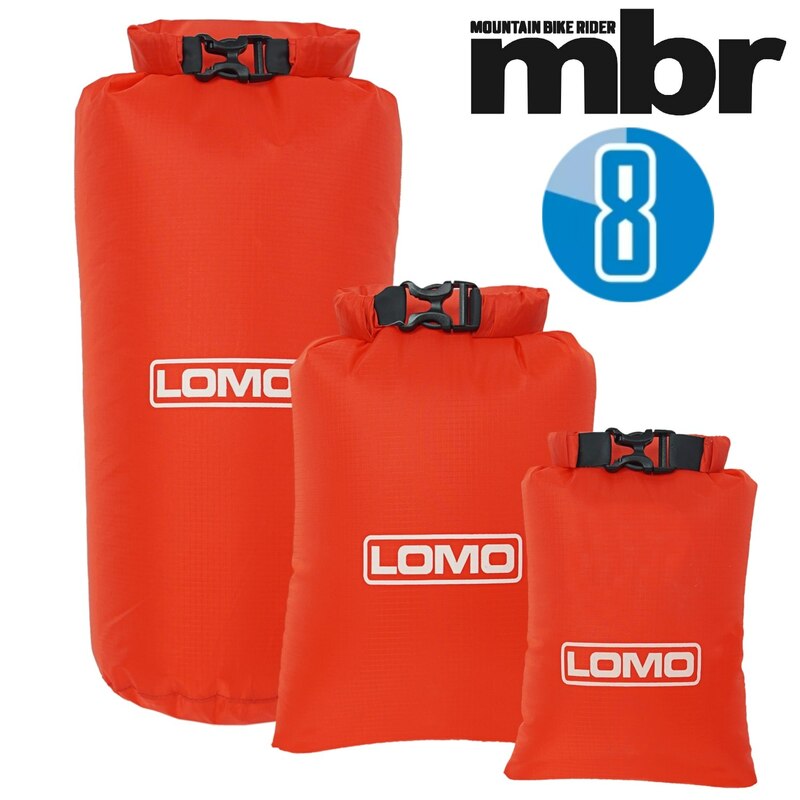 Our waterproof material and seams help keep you gear dry and a variety of situations from cycling to kayaking. 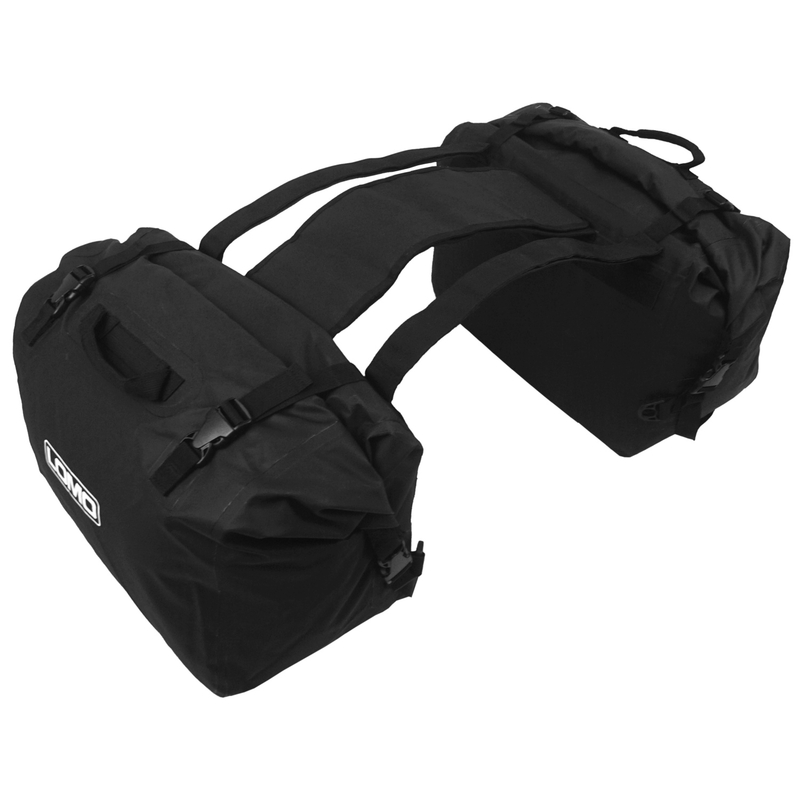 We also have different types of dry bag such as holdalls, panniers, barrel, duffell and rucksack style. 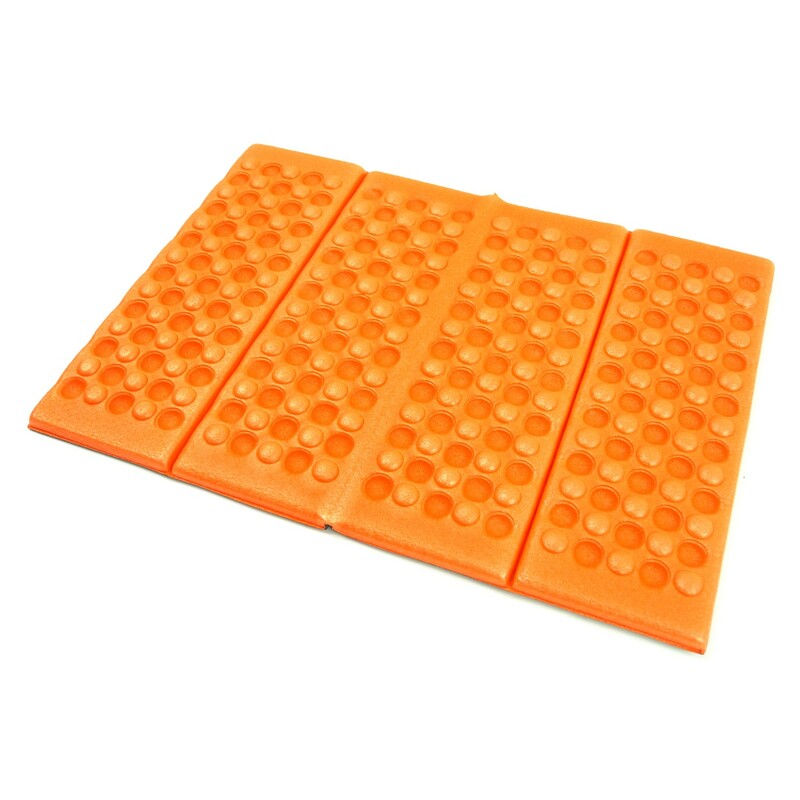 Our waterproof dry boxes are also popular for keeping items of equipment dry. Why go mail order when you can come into our store and try on one of our acclaimed triathlon wetsuits. 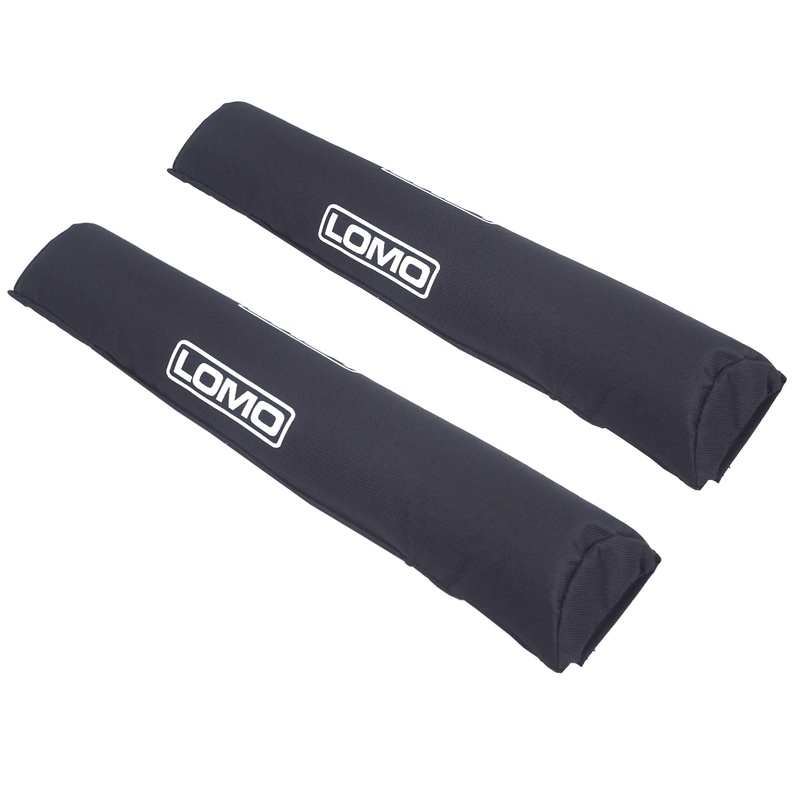 We have male and female triathlon wetsuits in 3mm and 5mm thicknesses. 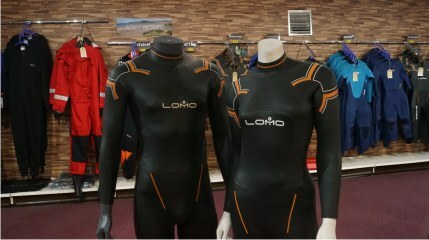 We also have triahtlon wetsuits for hire in our Glasgow store. 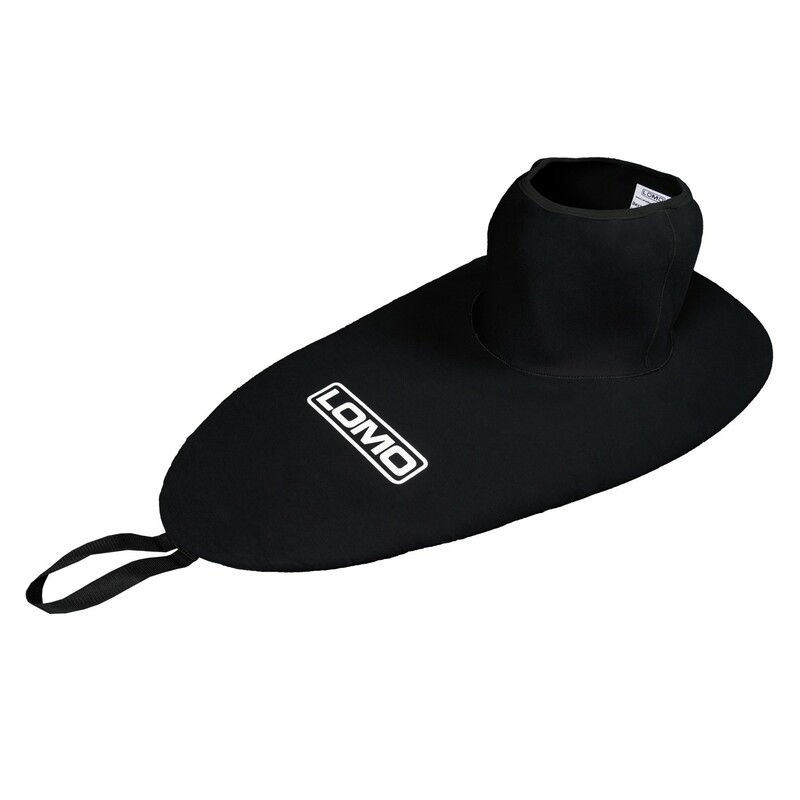 Our range of diving equipment includes main items such as mask, snorkel and fins down to individual clips that help hold your equipment together. 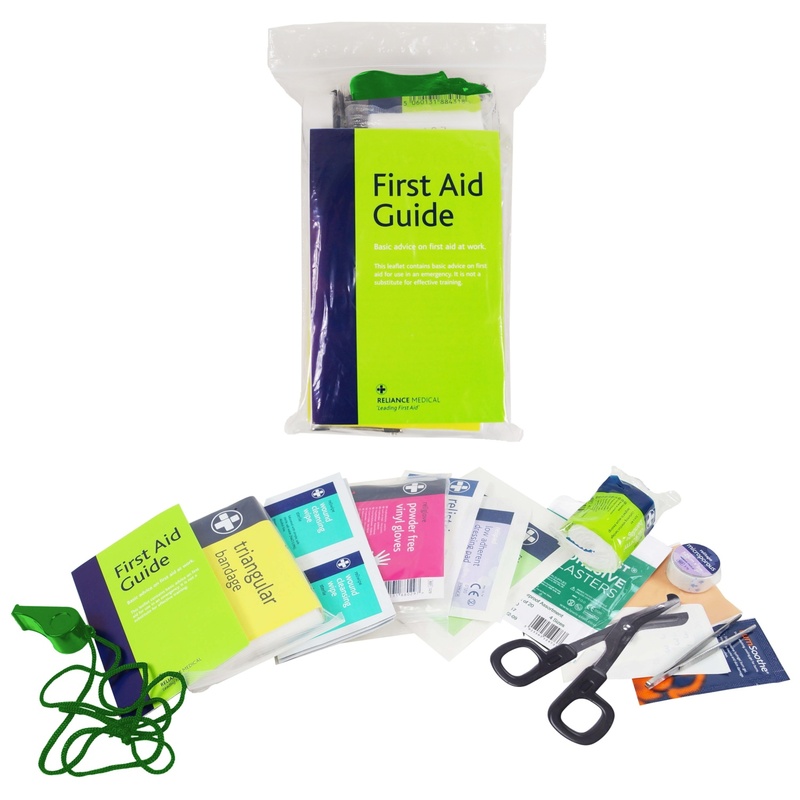 We dont carry 'air related' equipment such as regulators or BCD's but do have a good range of accessories like lanyards, diving gloves, diving boots, neoprene hoods SMB's and our award winning diving masks. 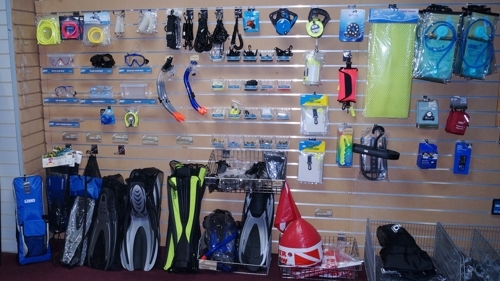 For summer fun we have both adult and junior snorkelling sets in a range of sizes. 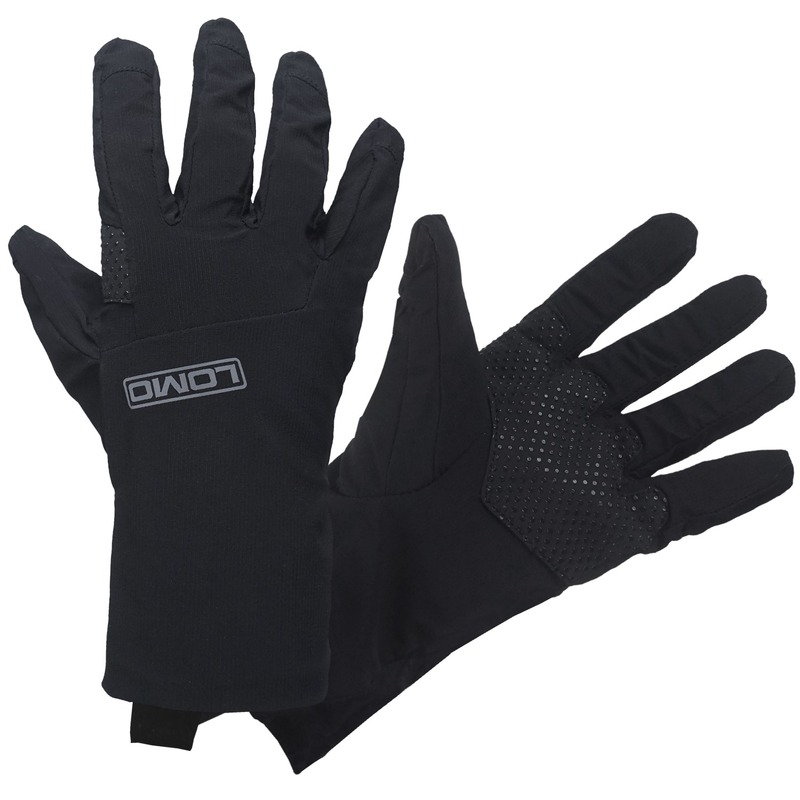 Our range of sailing equipment includes items such as sailing gloves (short finger and long) sailing boots, dinghy boots, drysuits, rope, mooringlines, boat hooks, hiking pants, neoprene shorts and much more. 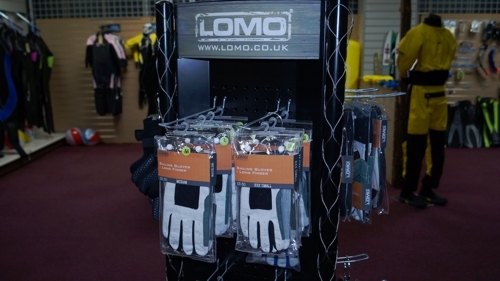 Our gear can be seen in use in many of the local sailing clubs. Get your life jackets and buoyancy aids locally. We have some of the most competitive prices in the UK so why shop online when you can shop locally and come into our store to try them on. 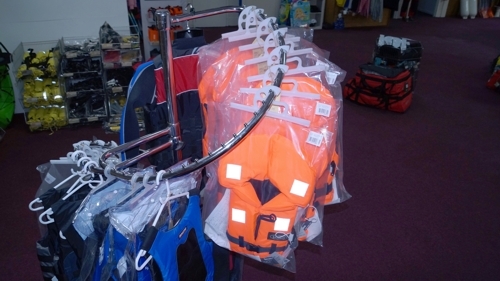 We have buoyancy aids and life jackets for sailing, kayaking, boating, jet skiing, waterskiing and general watersports. 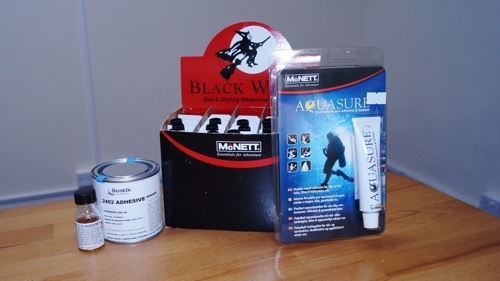 We stock the leading brands of wetsuit repair glues such as Black Witch, Aquasure and Bostik 2402 along with Aqua tape and Neo tape to help you repair your wetsuits and drysuits. 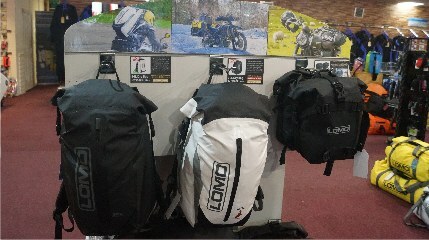 Our multi award winning range of motorbike gear is proving popular with bikers and bike magazines. 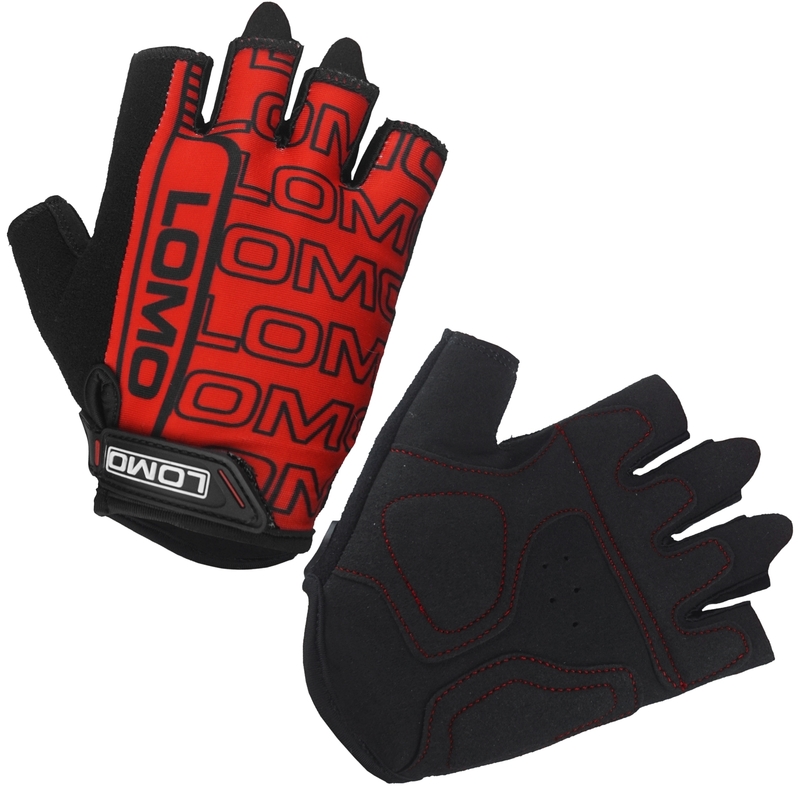 Our range has won awards in the motorcycle press and is popular across the UK and Europe. 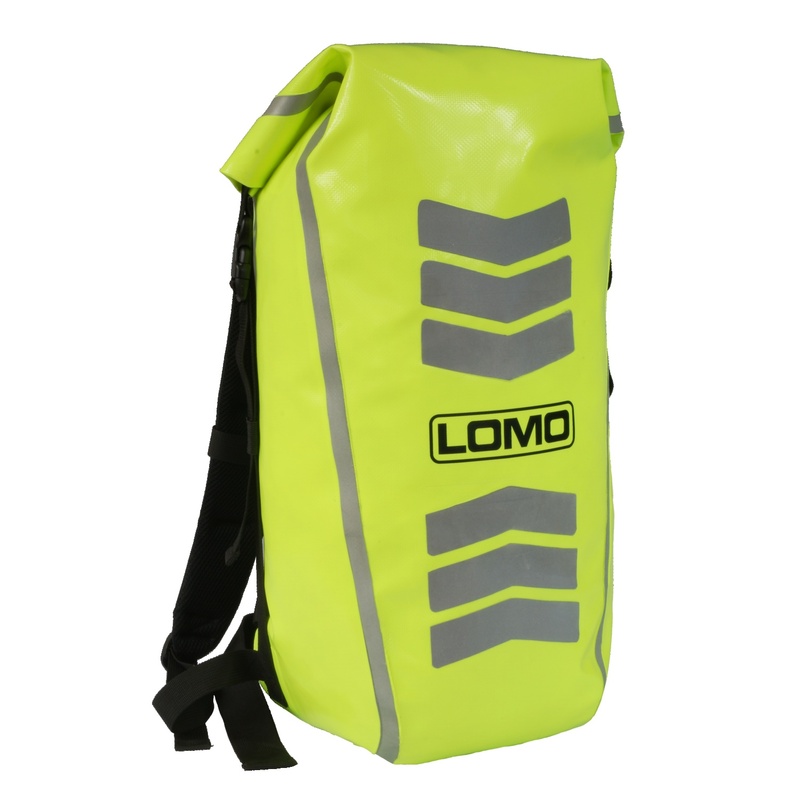 Our dry bags will keep you gear dry on the wettest of days, even when the rest of you is soaking wet! 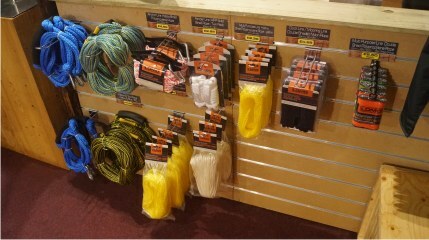 We now stock a small range of chandlery whoch includes boat hooks, 3 strand nylon mooring rope and fenders. 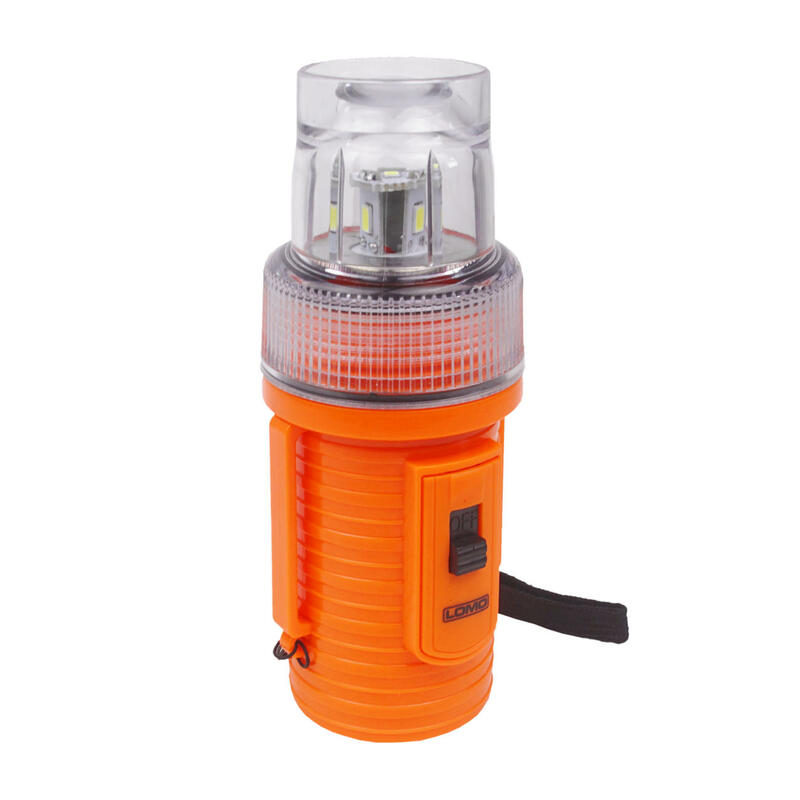 We have teamed up with our friends at Keela to give you access to their award winning range of outdoor gear which is used extensively by mountain rescue services, police forces and outdoor professionals. 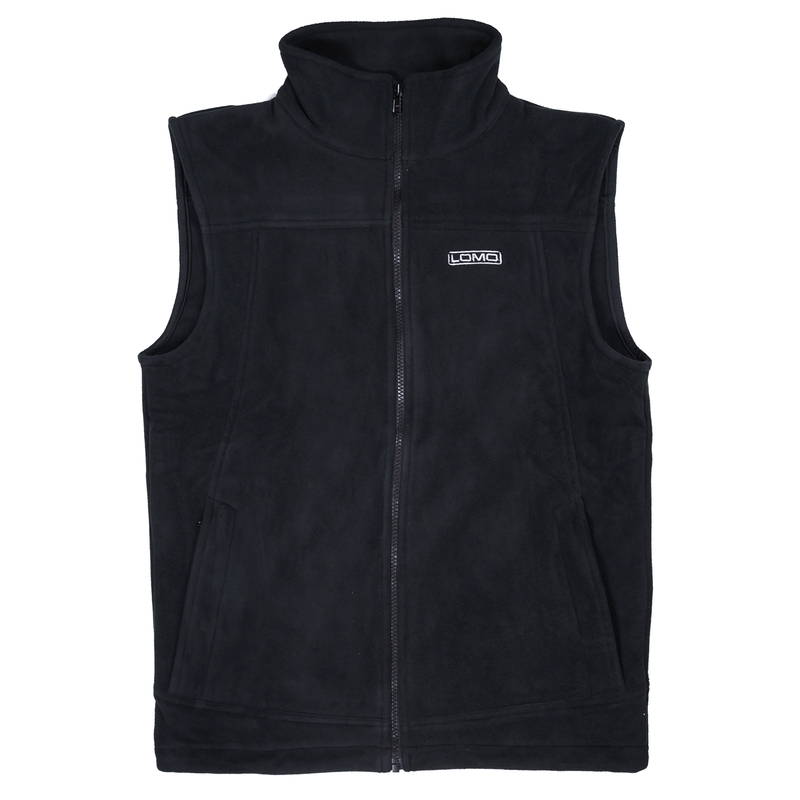 Their new range of mountain biking apparel is proving popular along with their range of thermal tops and waterproof jackets. 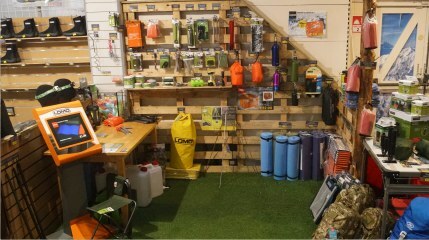 We also now have a small bushcraft section in our Glasgow shop where you can buy our own range of bushcraft gear along with a selection of equipment from other manufacturers. It is one of the few shops in Glasgow where you can buy bushcraft gear such as tarps and bivi poles.